Labyrinthine fistula is a complication of ear cholesteatoma that increase the risk of sensorineural hearing loss. 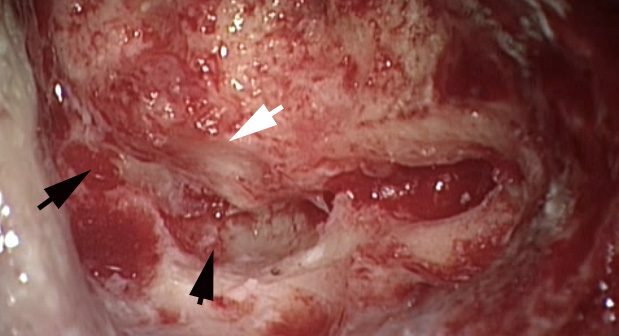 The management of the fistula must be done contextually with mastoidectomy by: leaving cholesteatoma matrix over the fistula, or remove the matrix reconstructing the defect. Objective : analysis of the two techniques to treat labyrinthine fistula. Methods : retrospective review with case series analysis. 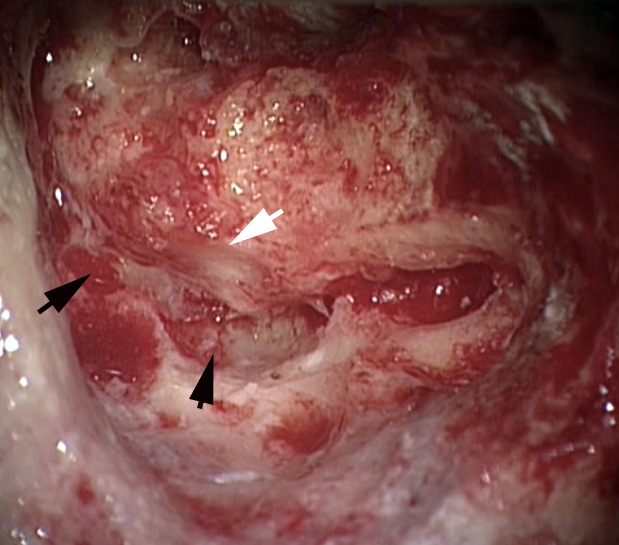 Results: a labyrinthine fistula was present in 14% of cholesteatoma patients; CT scan was predictive in all cases; the hearing preservation was obtained with both techniques; a recurrence was detected only in one case; postoperative nystagmus incidence was higher in those cases with matrix left in situ and when the size of the fistula was larger than 2 mm. Conclusions : the labyrinthine fistula have to be treated contextually with cholesteatoma removal, both techniques had good postoperative hearing preservation rate. The postoperative vertigo with nystagmus is more frequent in larger fistulas.